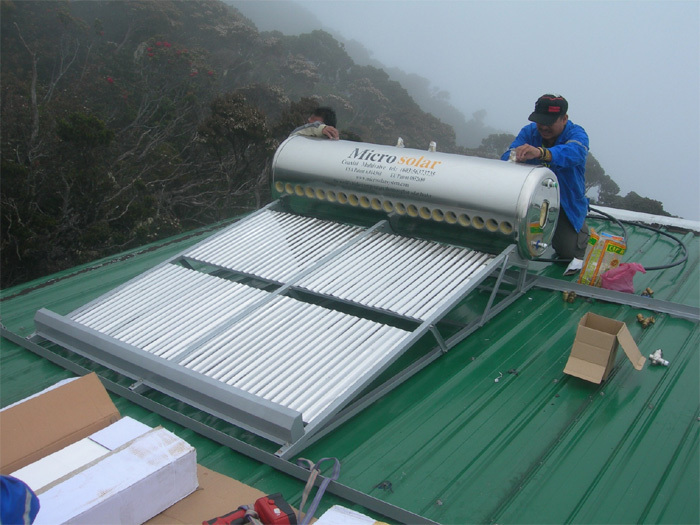 20110308 MICROSOLAR INSTALLATION MOUNT KINABALU NATIONAL PARK, SABAH, NORTH BORNEO, EAST MALAYSIA. 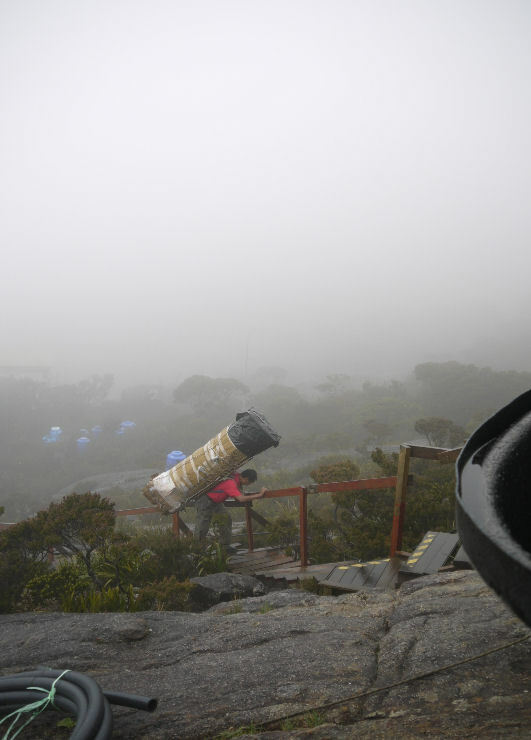 For many years, on Mount Kinabalu National Park in Sabah, East Malaysia, on the island of Borneo, porters have been carrying heavy LPG gas cylinders daily up to the trekker lodges at 3300m from the Timpohon Gate shown here at 1800m to heat water for showers and kitchens. 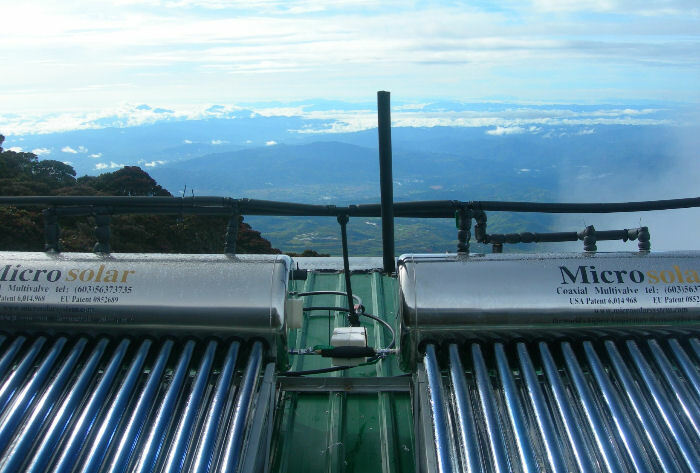 One of the objectives of the installation of the Microsolar Water Heater in March 2011 is to help make the Mount Kinabalu National Park a more environmentally sustainable ecotourism destination. 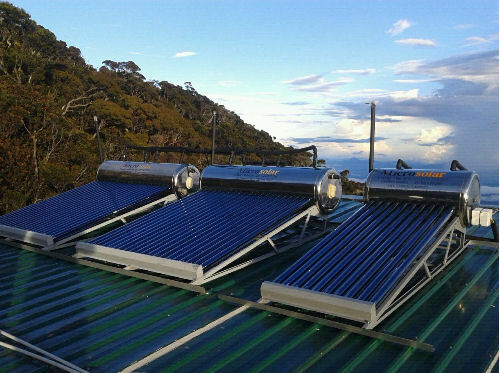 It shows that using high efficiency Microsolar water heaters even in the extreme cold 5°C cloudy weather can help reduce the human impact on the fragile rainforest and montane alpine environment by reducing pollution, greenhouse gases, and avoiding the need for daily porterage of heavy LPG gas cylinders up and down the mountain trails. 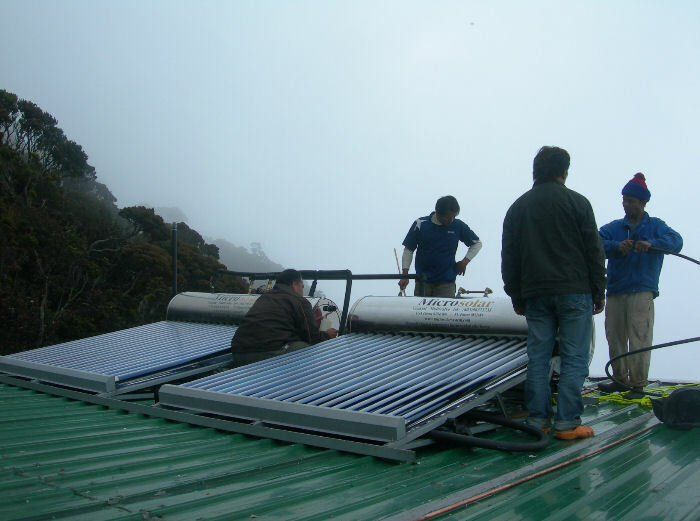 Overall it also saves costs, reduces the use of environmentally damaging diesel fired electricity which diesel fuel has to be trucked up to 1800m from the coast 140km away to fuel the existing noisy and polluting power generator at the Timpohon Power Station, situated halfway up this pristine montane forest. 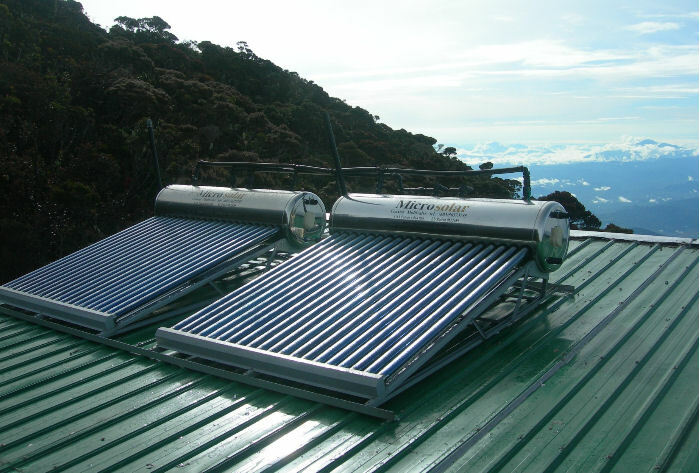 Hopefully as more solar heaters are installed, the electricity usage for hot water showers can be cut down, so that the use of the noisy and expensive diesel generator can be limited to electrical lighting at night only, and carbon emissions can be reduced, to help preserve the natural environment of Mount Kinabalu National Park. 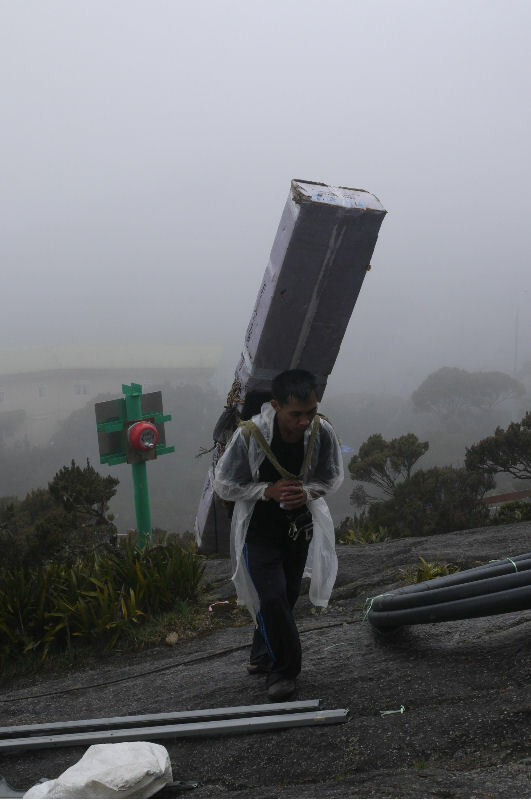 The Kadazan porters are very strong and fit, seen here carrying the 45kg Microsolar M60VTHE tank from the start point here 1800m Timpohon Gate to Pendant Hut at 3300m singlehandedly in 5 hours. 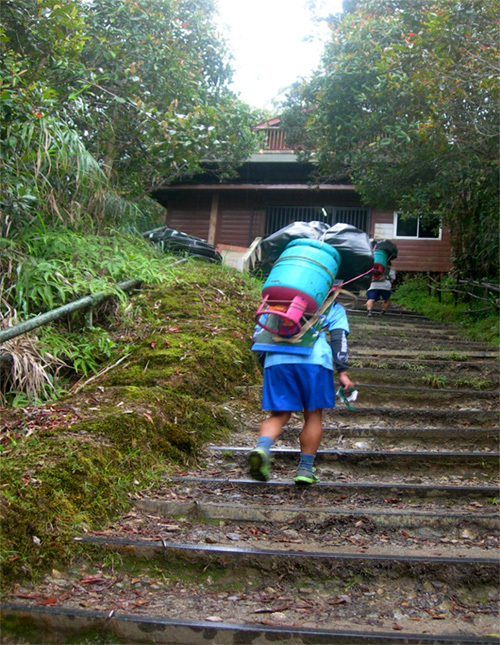 After 5 hours trek steep uphill thru the jungle, we emerge upon the Panar Laban rock slopes. 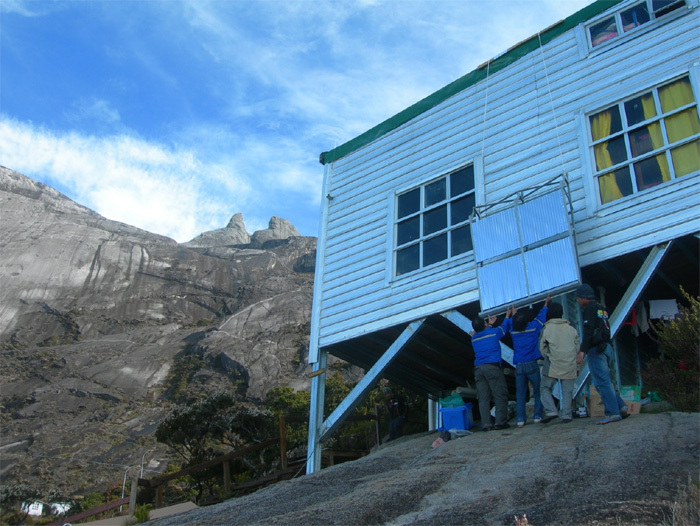 The Alpiniste’s mountain hut at 3300m elevation, Pendant Hut on slopes of Mount Kinabalu 4095m, Sabah, East Malaysia where the Microsolar was installed 8th ?9th March 2011 for Mountain Torq Sdn. Bhd. 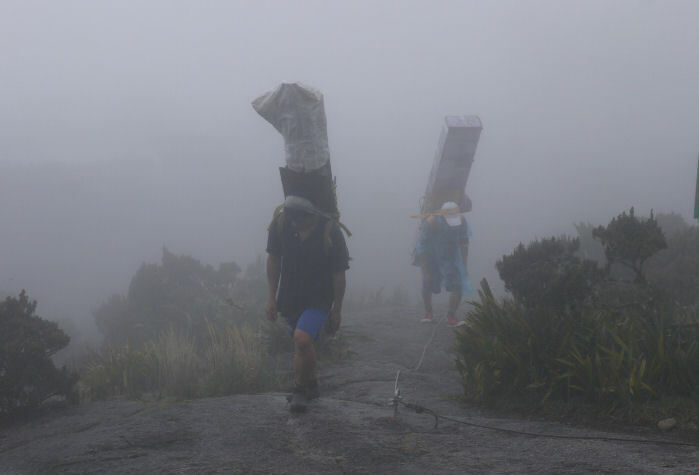 Mountain Torq (www.mountaintorq.com) run the world’s highest Via Ferrata alpiniste traverse high up the rockface near the summit of Mount Kinabalu. 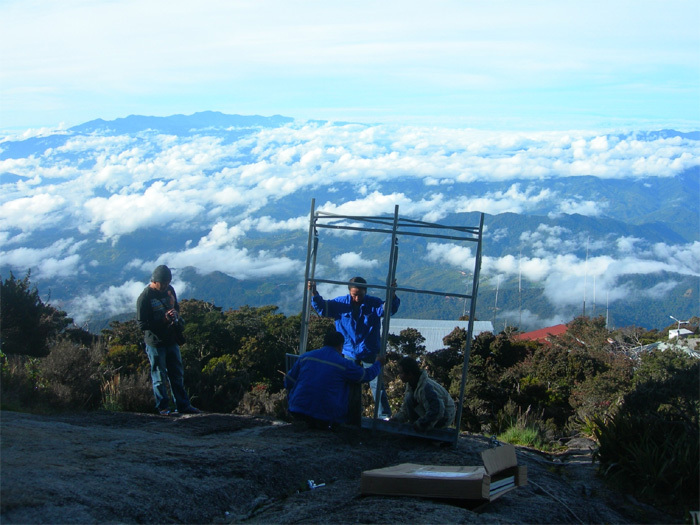 Like the Microsolar, all the material used in the construction of the Pendant Hut were carried up by porters. 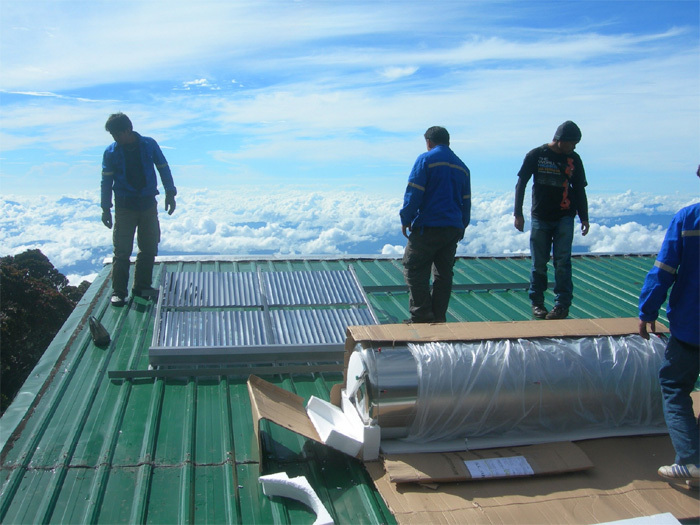 Assembling the Microsolar frame 20110308 at 3300m in the cold morning air. Air temperatures at night are 5°C, daytime 15°C. 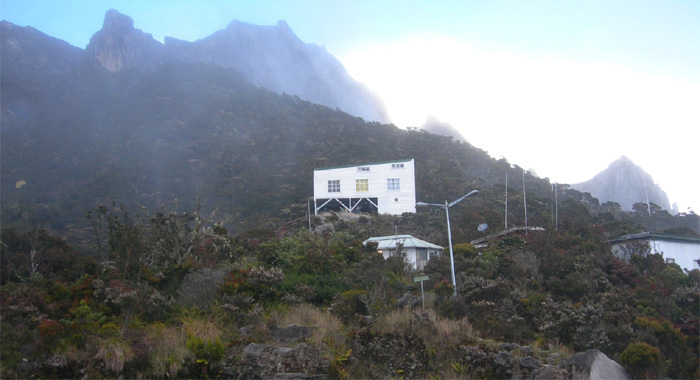 Mount Trus Madi, 2643m, the second highest mountain in Malaysia after Mount Kinabalu, is visible at left horizon. 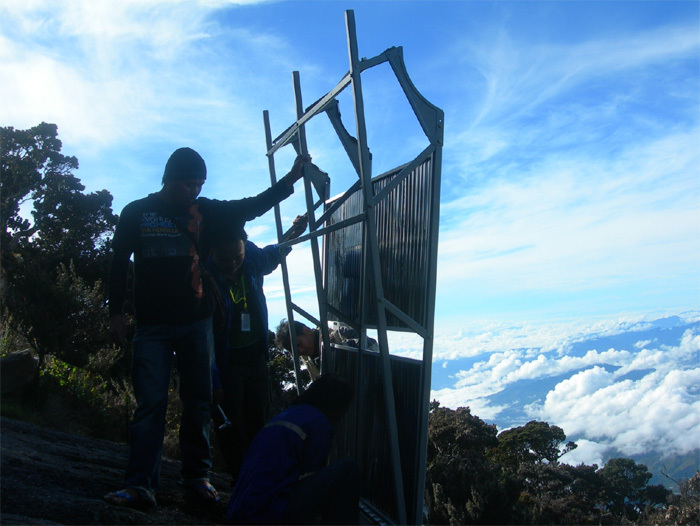 Assembling the frame in front of Pendant Hut at 3300m, Donkey Ear’s Summit 3965m above. 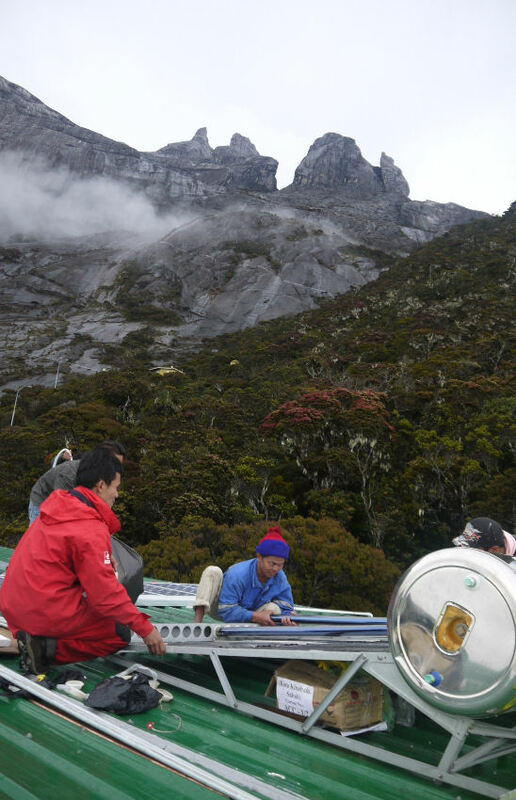 After the hard work of hoisting the tank to the roof of Pendant Hut at 3300m elevation, with the Donkey Ear’s Summits 3965m above. 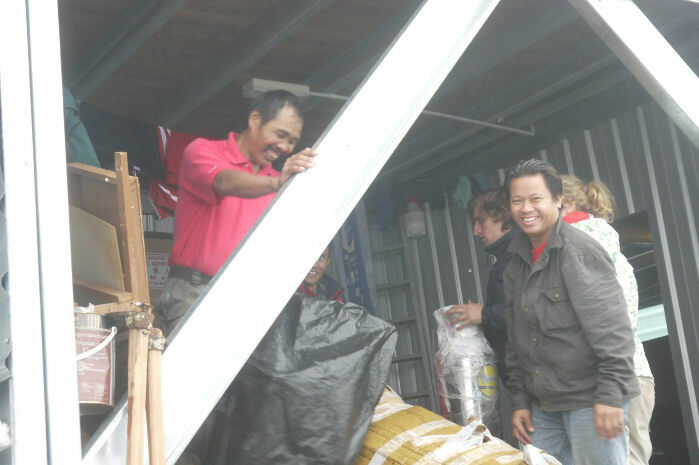 Microsolar Sabah installers Abel Lasimbang (L) and Adrian Lasimbang (R). 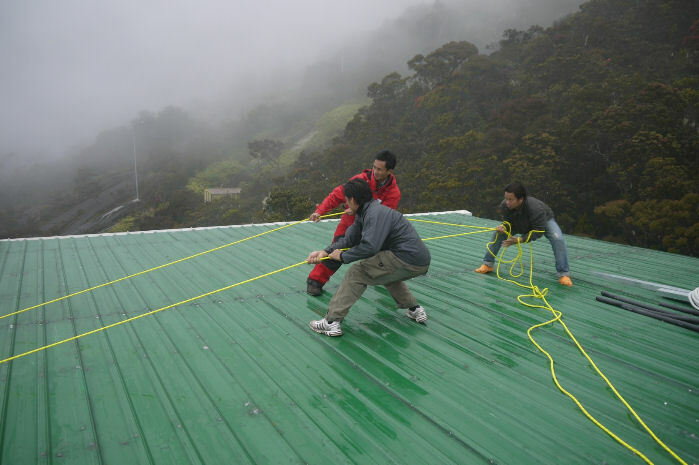 Mounting the frame on the metal decking roof of the Pendant Hut. 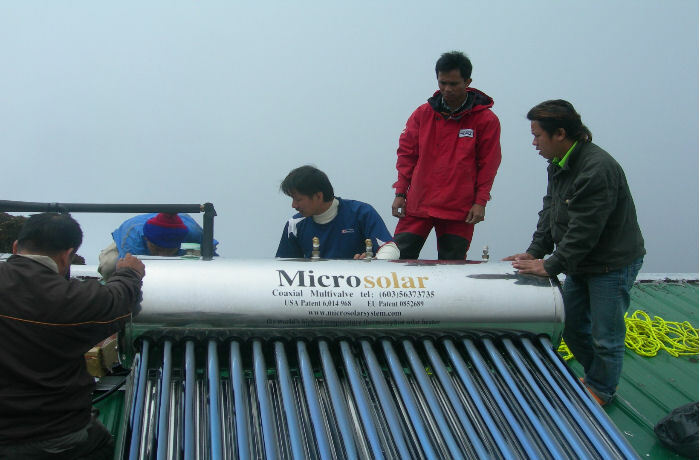 Fixing the Microsolar tank to the frame. 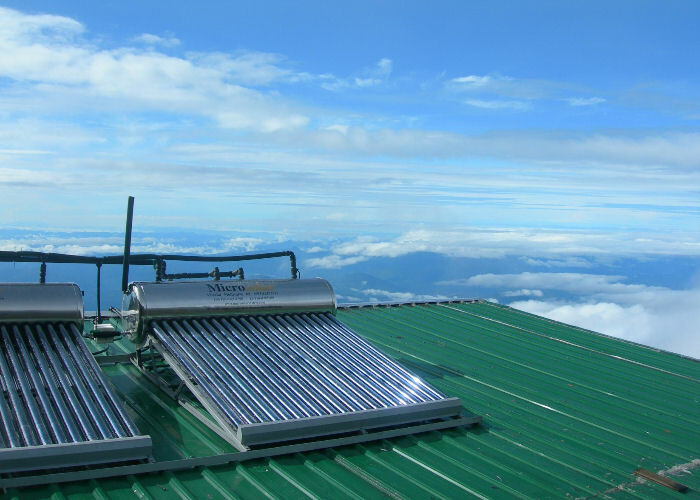 The clouds roll in everyday at 1000hrs, so a rapid heating, high efficiency coaxial multivalve solar heater like Microsolar is required to maximize the heat gain from the limited sunshine period. Sunrise over the Microsolar 10 March 2011. 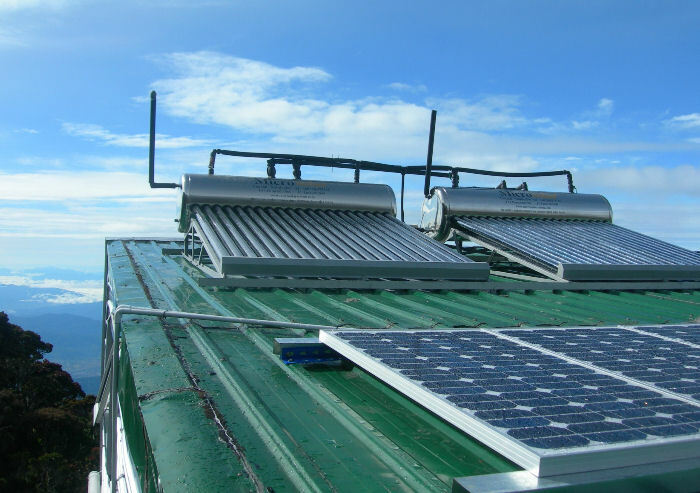 The water temperature rises from cold water supply temperature at 5C to 45C in the Microsolar by 1100hrs in the intermittent sunshine, thus saving the use of electricity or gas fired water heaters. 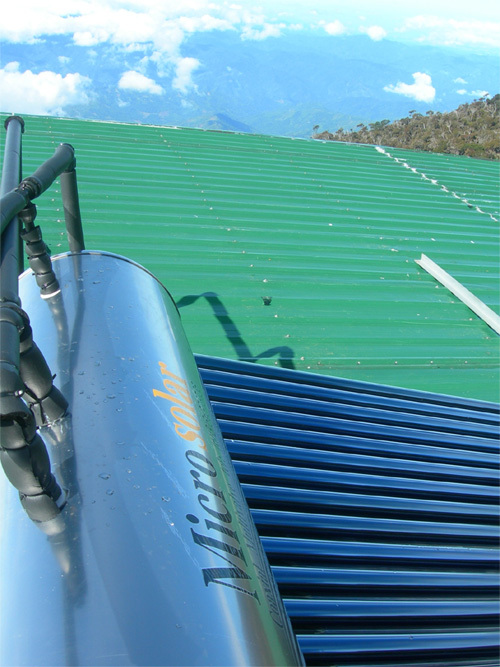 On sunny days the Microsolar temperature is over 60C. 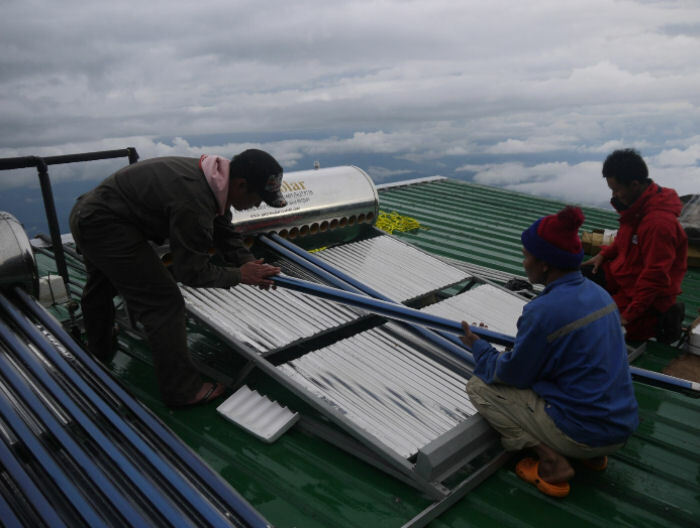 The completed Microsolar installation at 3300m elevation with sunny weather in between the clouds. 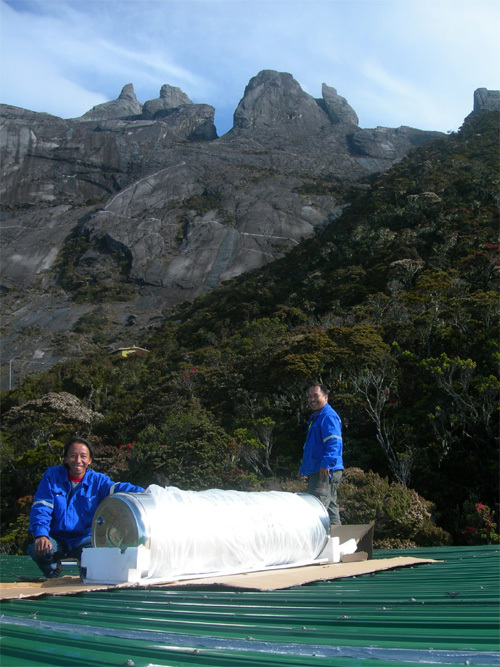 One of the Donkey Ear’s Peak 3965m of Mount Kinabalu above the Microsolar. Good insulation of the piping is important. 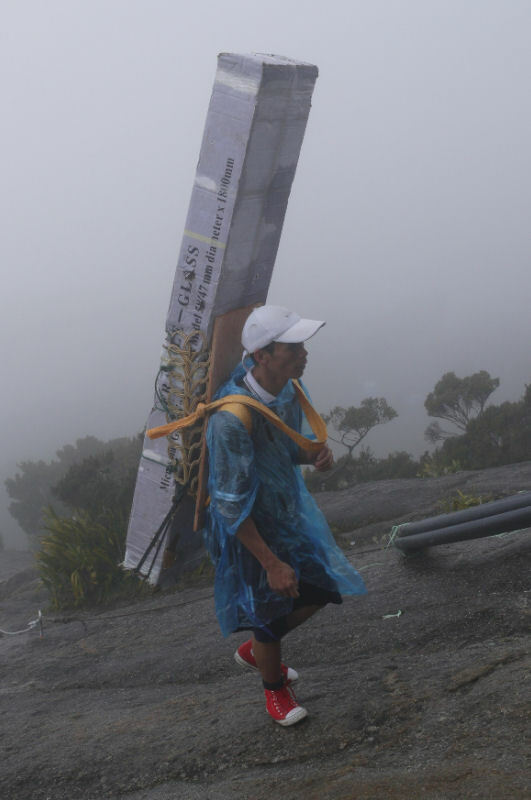 The city of Kota Kinabalu is visible far away on the coast below. 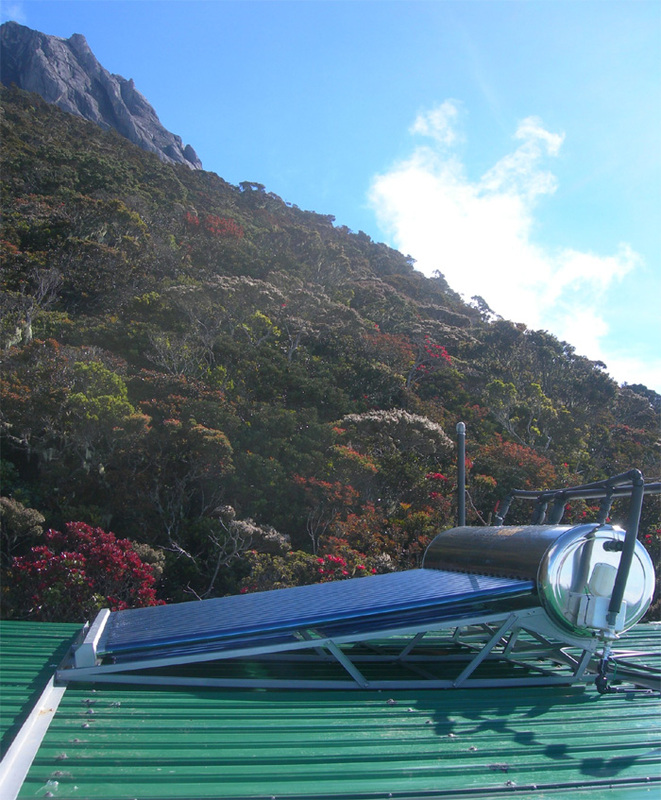 Second Unit of Microsolar installed at Pendant Hut Mount Kinabalu National Park Sabah Malaysian Borneo, Sept 2011. 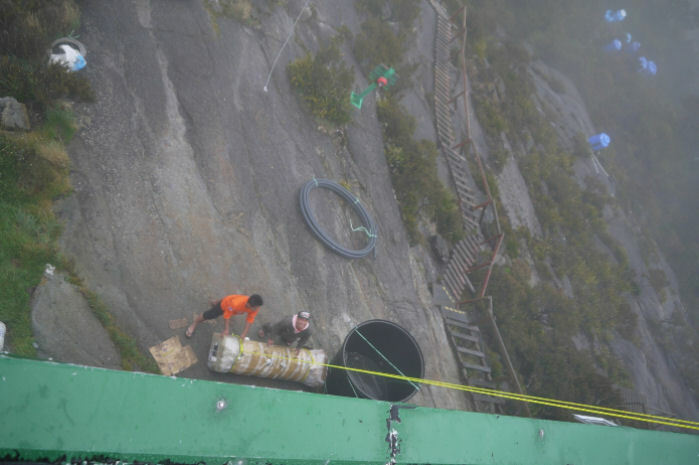 We climbed up again on 15 Sept and came down 18 Sept 2011, the porters carried up the Microsolar tanks and glass tubes in the rain. 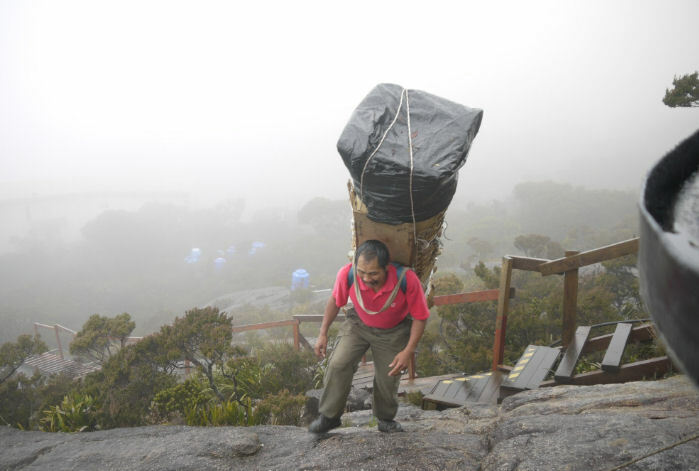 The51 years old Kadazandusun porter Lantodi carried 48 kg Microsolar tank from 1800m Timpohon Gate start of trek to 3300m Pendant Hut in 4 hours in the rain, then went down again. We took 5.5 hours with our 8 kg backpacks. 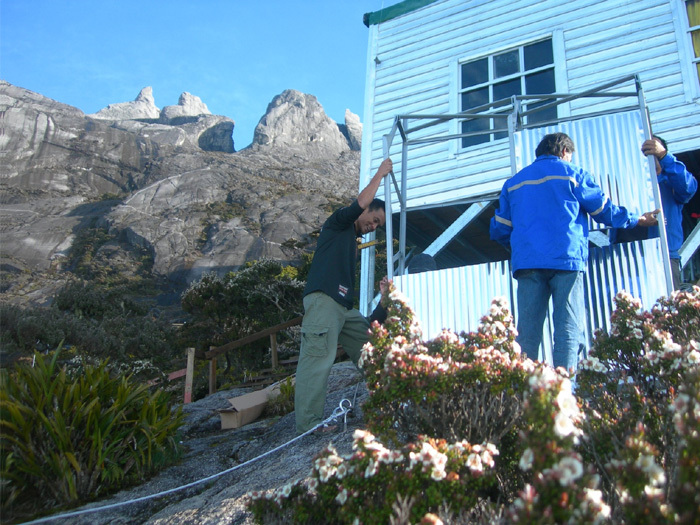 Third unit Microsolar M30VTHE installed in Mountain Torque’s Pendant Hut, Mount Kinabalu in February 2012. 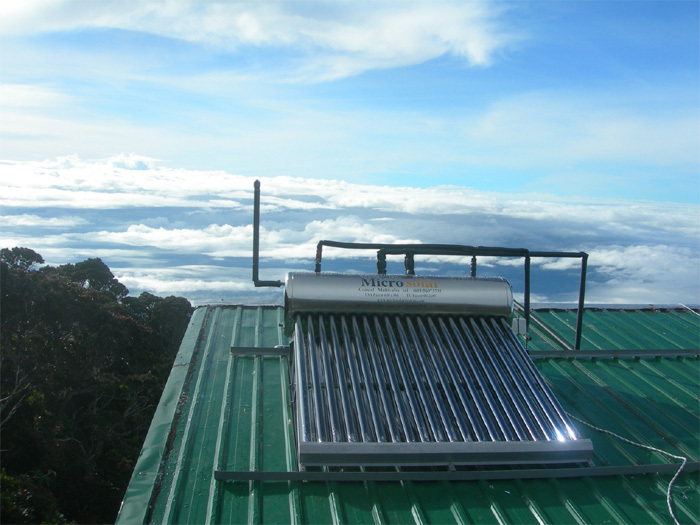 Total 3 units Microsolar water heater were installed on Mountain Torque’s Pendant Hut at 3300m altitude.